July 24, 2014 - VANCOUVER - Beloved environmentalist David Suzuki has announced plans to tour Canada — with support from high-profile pals including author Margaret Atwood, painter Robert Bateman and musicians Bruce Cockburn, Feist, Jim Cuddy and Neil Young. 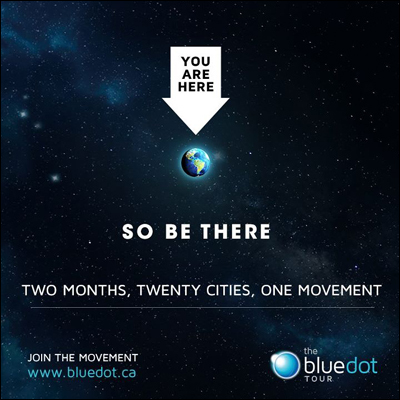 Organizers say The Blue Dot Tour could "possibly" by Suzuki's final national speaking tour. It's set to visit 20 communities from St. John's to Vancouver between Sept. 24 and Nov. 9. The tour is expected to combine concerts with community events. As the longtime host of CBC's "The Nature of Things," Suzuki has developed a rabid following, along with a knack for explaining complex scientific concepts to Canadians in plainspoken language. Trained as a geneticist, the Vancouver-based scientists has written 52 books and holds 25 honorary degress. "This is the most important thing I've ever done," Suzuki said of the tour. "I am so honoured that these incredible Canadians are joining me to celebrate the simple yet powerful idea that all Canadians should have the right to drink clean water, breathe fresh air and eat healthy food." Others expected to take the stage during The Blue Dot Tour include Emily Haines from Metric, Jenn Grant, Chantal Kreviazuk, Joel Plaskett and children's performer Raffi. "All of these incredible Canadian performers, leaders and icons are joining David Suzuki because they share his commitment to protecting the people and places we love," said Michiah Prull of the David Suzuki Foundation. 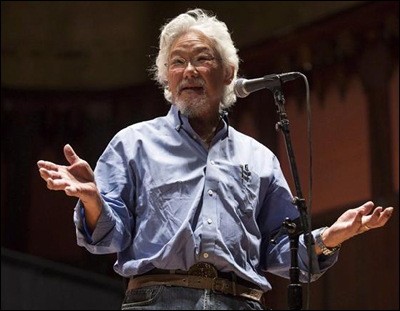 ~from The Canadian Press - David Suzuki launches speaking tour..